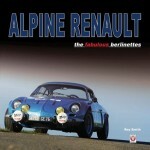 It was some months ago that the author asked if I would write a foreword for this book. I repeat it here as it represents an overview of this most interesting book. 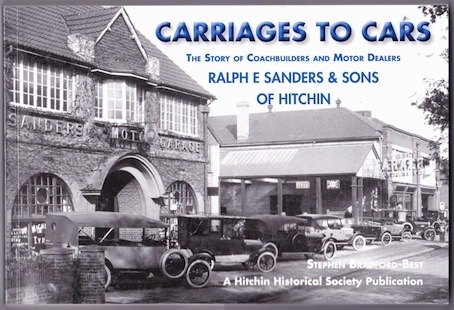 “I was delighted when I heard that Steve Bradford-Best was writing a history of the coachbuilders and motor dealers Ralph E. Sanders & Sons of Hitchin, 35 miles north of London. 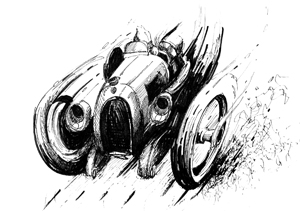 The country coachbuilder has long been overlooked by the motoring writer. The two encyclopaedias on my bookshelf which cover coachbuilding both leave out Ralph Sanders. This book puts this omission to rights. Like so many such firms it started in the horse-drawn days and gradually as the motorcar became more available they built both types alongside each other. Unlike other firms of this sort Ralph E. Sanders & Sons moved with the times and had a vibrant garage business, repairing and servicing cars and selling new and second-hand ones. This book, therefore, crosses a number of boundaries. It is first and foremost about local history of a major firm in the area and the people that ran it. It’s about the art of coachbuilding, both of horse-drawn vehicles and of cars and commercial vehicles, and also the nitty-gritty of running a successful garage business. The background was in a wheel-wrights shop in the 1840s and the firm continued in business until 1979. The book has a wonderful selection of illustrations of the company’s products showing the wide range of horse-drawn vehicles and even one of an ostrich pulling a Sanders Governess cart at London zoo! There are also a wide variety of pictures of many commercial vehicle bodies and those on the cars. Though no production figures are mentioned it is surprising that the author has only been able to trace 11 horse-drawn vehicles and no cars. Perhaps this book will tease out a few more.